Dimensions 5.94 by 8.94 by 0.63 in. 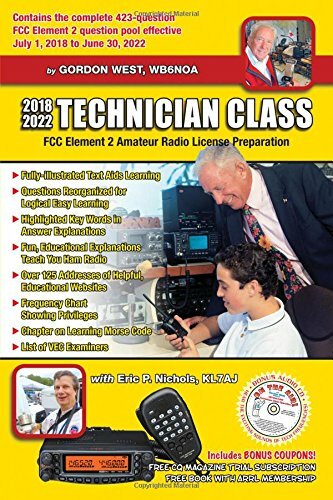 Amazon.com description: Product Description: Study manual for the new 2018-2022 entry level FCC Amateur Radio examination. Gordo reorganizes the official Q&A into logical topic groups to make learning easy and fun. Key words are highlighted in his explanations to help you understand the material for test success. Web addresses for more than 125 helpful, educational sites. Includes a free On the Air audio CD demonstrating Technician Class privileges.